It’s not that hard to reach this assumption just by looking at the sheer volume of entertainment materials that include oversized combat robots as a feature, if not a focus. 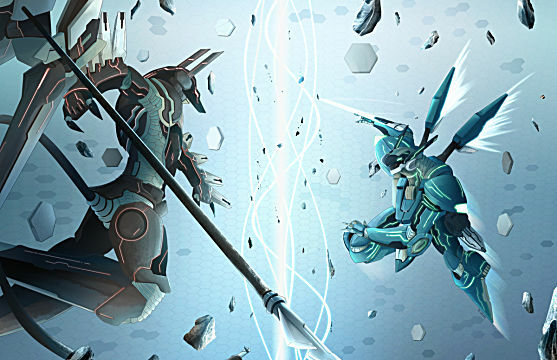 Numerous drawn or animated series are produced every year showcasing a variety of fancy designs and different means of explaining their presence, and even live action movies such as Pacific Rim are keen to showcase the concept. Yet whatever justification these mecha have for existing, their true purpose is quite clear: to get into fights with massive monsters or other giant robots for the viewer’s enjoyment. But what’s even better than watching giant robots fight? Controlling the robots that are fighting, of course. As such, video games are no exception to the presence of mecha, encompassing a vast array of titles spanning many genres over the years. Some of these are original concepts designed directly for games, such as Armored Core, while plenty are simply adaptations of existing series like the many Mobile Suit Gundam games. Other times, these mecha are simply included as a small element and aren’t necessarily the primary focus of their series, such as in Xenoblade Chronicles X.
Suffice it to say there are quite a few interesting examples of solid mecha games out there. 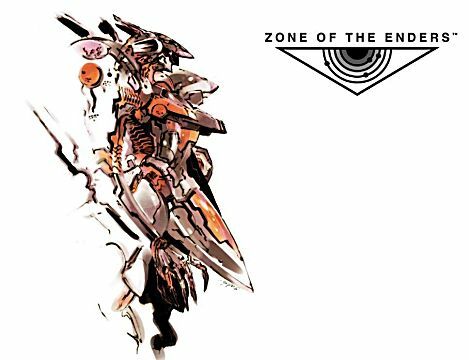 But few feel quite as striking to me as the games of the Zone of the Enders series, and after just replaying them, I felt like looking back and seeing what they did right and where they might have gone wrong. 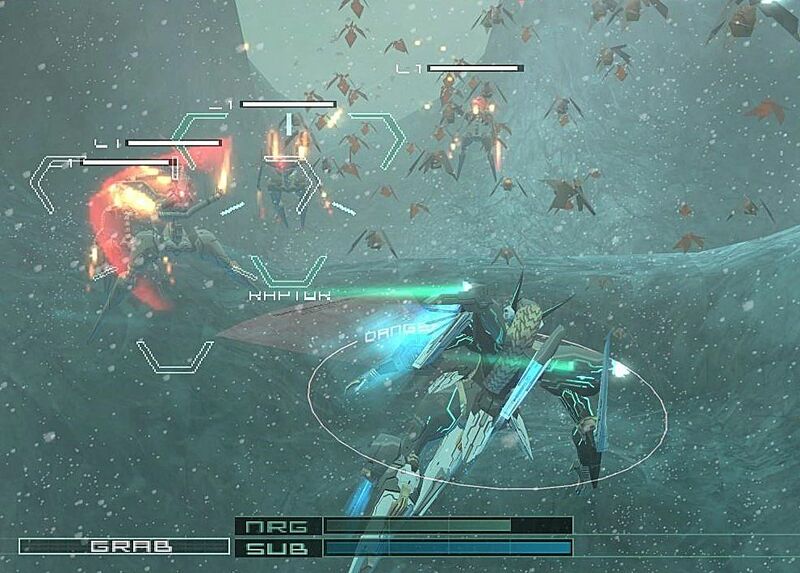 Developed by Konami and produced by Hideo Kojima, the original game (Zone of the Enders, PS2, 2001) was released early in the Playstation 2’s lifespan. An action game through and through, ZoE saw players seated behind the controls of Jehuty, a flight capable Orbital Frame (the mecha of the franchise) that glided through the air and darted in and out of both ranged and melee combat more quickly than many mecha in games before -- or since! 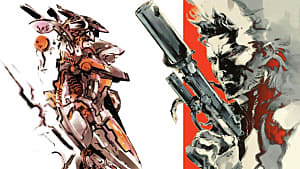 Despite reasonably positive critical reviews, much of the game’s attention and sales came not from its own qualities, but because it was bundled with the Metal Gear Solid 2: Sons of Liberty demo. This was quite evident after the release of the sequel (Zone of the Enders: The 2nd Runner, PS2, 2003), which received much more favorable reception for its numerous improvements to the concept and mechanics, but failed to sell nearly as many copies. Nonetheless, the two games spawned something of a cult following along with their spin-off strategy/RPG (Zone of the Enders: The Fist of Mars, GBA, 2001 -- a very good game but one that I won’t touch on too much in this article) and a 26 episode anime series. Typically, the giant robots in an average video game will feel giant; they tower above the field and usually have a lot of weight and solidity to their movements and attacks. By contrast, one of the most striking aspects of the two primary ZoE games is their feeling of weightlessness. Jehuty flies and floats through the three-dimensional levels at a rapid pace, darting from enemy to enemy and unleashing an onslaught of quick and deadly attacks to dispatch all comers. Gravity and inertia are total non-issues, and the gameplay feels more like your average action game that just so happens to take place in the air. It’s almost easy to forget just how big your mecha actually is during the action sequences, so smooth is your movement. In addition, the game is absolutely not afraid to assault you from all sides and have enemies surround you, so maneuvering through this space quickly becomes second nature. The gameplay and moveset looks somewhat sparse at first, with a single primary attack button that shifts between melee and ranged depending on distance to target; coupled with a secondary attack button that can be filled with all manner of optional weapons. More subtleties are quickly discovered, however, when one figures out how the attacks interact with the dash button. Both ranged and melee attacks will change when dashing, and a burst attack can be produced by standing still. All of these different modes of attack have very different results and effects, so learning what situations call for each is important. Couple this with a very quick-to-activate guard button (not to mention the ability to parry melee attacks with your own) and you’ll find that combat is a much more nuanced affair than first perceived. Some pattern memorization and extremely precise movement timing is needed to best some of the challenges the game will throw at you. It’s probably good that the core gameplay can be boiled down so simply, as it gets incredibly fast paced. 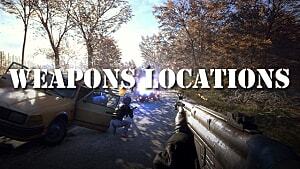 You can move and dash in all directions extremely quickly, guarding is extremely responsive, and the reasonable selection of sub weapons gives you a lot of options to unleash in just the right situation. These can range from thrown javelins, homing missiles, giant laser beams or decoy systems to distract enemies, or even just eschewing sub weapons in order to grab and throw things around. These culminate with the iconic and immensely powerful Vector Cannon, which requires a very long charge time while Jehuty is firmly on the ground, but the end result is absolutely stellar to behold and devastating to match. 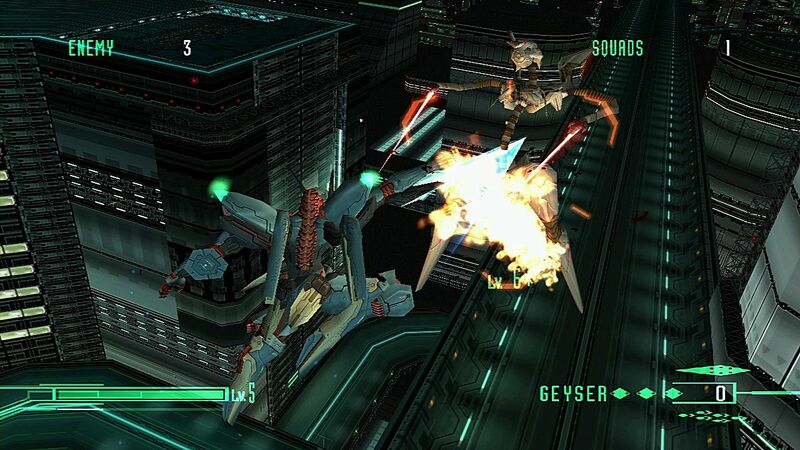 Playing through some Zone of the Enders fights feels like a dance, but many times it even looks like a dance. The graphics are quite fluid for their time, and though the colors and details aren’t always that impressive, the actual fights look smooth and play quick. 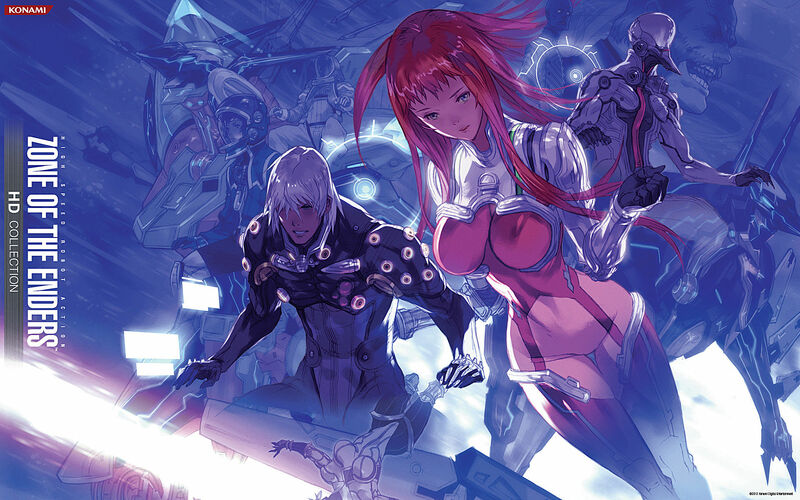 This is compounded by some incredibly sleek and stylish mecha designs. Granted, some of the more generic enemies can look a little strange, but many of the primary mecha look fantastic, and Jehuty is perhaps my personal favorite mecha design ever. Then throw in some excellent sound effects and a suitable (and catchy) techno/pop soundtrack for good measure, and you’ll find that there’s rarely a dull moment. It’s not just endless dancing with waves of enemies, however. Both games do a reasonably good job of varying mission objectives and circumstances, meaning there will usually be some new condition or limitation to keep things fresh. Boss fights, for example, are usually complex affairs with numerous tells and patterns that have to be quickly learned and manipulated to keep from getting destroyed very quickly, and they often feel even more frantic and fast paced than the average fights. Other times, you will find yourself performing missions to save civilians, fight battles when damaged or impaired and forcing you to adapt to an altered move set, or (my personal favorite) flying between a number of huge battleships and destroying them in succession with the Vector Cannon. Alas, despite my high praise, the games are far from perfect. Perhaps the biggest criticism the series received is the incredibly short length of the games -- both primary games can easily be finished on their first playthrough in around 15 hours combined. 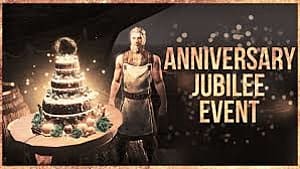 While there are additional unlockables, challenges, and difficulty modes to acquire and tackle, the overall amount of content can be regrettably lacking. 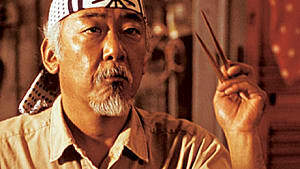 In addition, the story, setting, and presentation of the overall game can be very hit or miss. The plot focuses on the political struggles of those living on Earth and those living on Mars and other space colonies (the titular Enders), which eventually comes to armed conflict involving the use of Orbital Frames powered by the resource Metatron. Amidst all this, two mecha are created - Anubis, used by the antagonist, and the player controlled Jehuty - to effectively serve as keys to a weapon that could easily turn the tide of conflict in the wielder’s favour. In the first game, Jehuty accidentally falls in the hands of Leo Stenbuck, a young man who has absolutely no intention of getting involved in killing and who is quick to inform absolutely everyone of this fact in true Shinji Ikari fashion. After Leo successfully manages to keep it out of the hands of the enemy hunting for it, the second game sees it fall into the possession of Dingo Egret, who is forcibly conscripted by an agent named Ken Marinaris into using Jehuty to stop his rival Nohman… who just so happens to be the pilot of Anubis. There are additional subtleties and characters, of course, but the English localization did a poor job of conveying these. Most of the plot is delivered through cutscenes in between action segments, and while the cutscenes are of reasonable quality (especially given the era), the dialogue is repetitive and somewhat bland. As for the voice acting, it’s extremely hit or miss. Leo, in particular, is almost universally disliked due to his voice and writing coming across as extremely whiny and irritating… though in his defense, this is vastly improved in the sequel. Nonetheless, the overall plot progresses at a breakneck pace and doesn’t really deliver itself well, sometimes leaving players unsure of how we got to this point or failing to impress on the gravity of the situation. 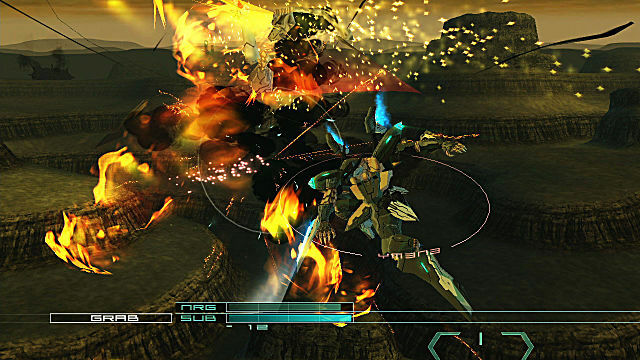 Still, the plot is often just icing on the gameplay cake for an action game, so these factors are only a mild deterrent for the general high quality action of Zone of the Enders. Even the gameplay isn’t always perfect, though. In such a rapidly moving system, there are times when the camera isn’t able to keep up and won’t respond well to your controls, and while there is a target lock system, focusing on the right enemy or even just disabling it so that you can maneuver as desired can be clunky. Some sub weapons can also feel underwhelming -- though this was largely improved in The 2nd Runner as all weapons were rebalanced and drew power from the same energy gauge, which made for more situational use. And sometimes, there are bosses or encounters that make you feel like you’re bashing your head against a wall trying to learn it until you finally progress. Those moments of victory often deliver immense satisfaction over frustration, though, so they can usually receive a pass. Then there are the technical failings. Truthfully, both games run surprisingly well and have a level of visual polish that was quite high for the time of their release on the PS2 and will still hold up now, but the same cannot be said of the HD bundle that was brought out for the Xbox 360 and PS3 in 2012. These ports were plagued with technical issues ranging from mild to extreme frame rate drops that simply weren’t present in the original release, to sections of the game regularly freezing and requiring a console reset. 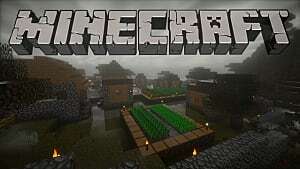 A patch was eventually released that fixed many of these issues and restored the game to an extremely polished state, but this was only brought out for the PS3 version and only affected The 2nd Runner, leaving many purchasers high and dry. 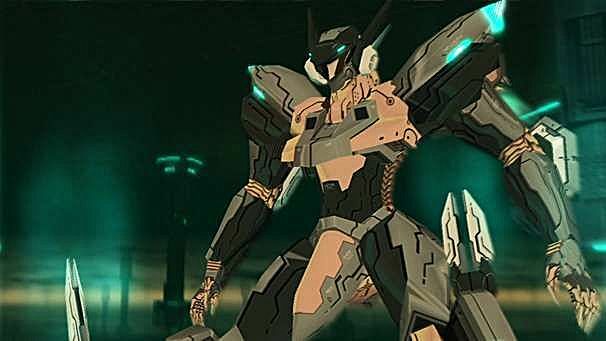 Nonetheless, despite these limitations and flaws, the overall feeling of speed and frantic mecha action offered in Zone of the Enders has held up well to this day. Few if any mecha-focused games are able to match its movement, with most choosing to focus on the weight and power of the robots instead. As such, ZoE is still regarded as unique and held in high regard amongst aficionados. But does that mean the series has a future? Sadly, it doesn’t seem likely. While there was confirmation of a sequel by Hideo Kojima back in 2012, this has since been confirmed to be canceled following poor reception of the HD release… but given the issues lined above, can you really blame such a response? Nonetheless, given that the initial release of the games didn’t yield extremely high sales either, it would be safe to assume that it wasn’t profitable enough to continue the project. 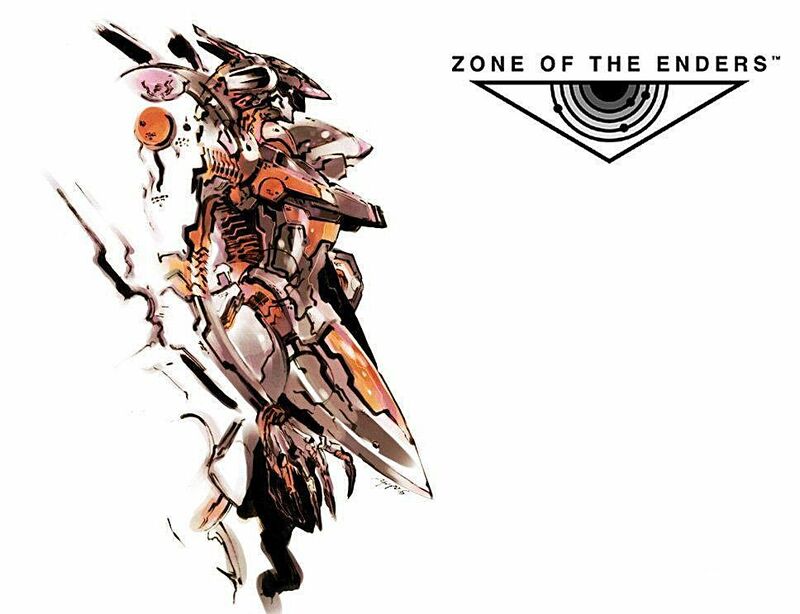 Now, with Kojima having left Konami and the company having fallen into disrepute amidst the gaming community, it seems unlikely that a new Zone of the Enders title will surface anytime soon. I consider this quite a shame. Certainly, there are many good mecha games out there, but ZoE still remains the sole occupant of a rarely filled niche. Perhaps one day a contender in its style will rise up, but for now, Jehuty will remain as a stalwart example of what controlling a mecha can be. 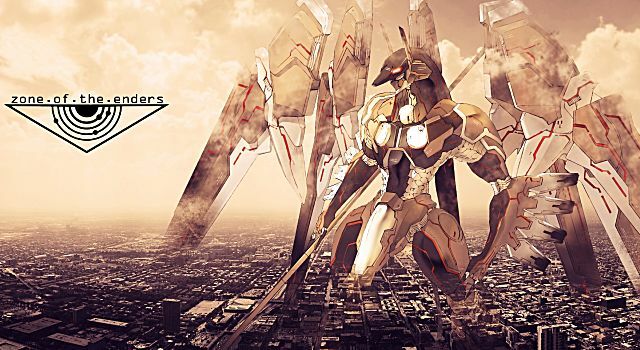 If you’re interested in checking out the series, the Zone of the Enders HD Collection is available digitally for PS3 and Xbox 360, though I strongly playing the patched version on the PS3. Give it a whirl and let me know what you think. In the meantime, if anyone else has any good experiences with ZoE -- or any game like it, for that matter -- share with us in the comments below!